STILO-50 ALUGOM hinged series by PONSICO s.c.p. for aluminium joinery in Barcelona. Sliding A-70 series of ALUGOM by PONSICO s.c.p. 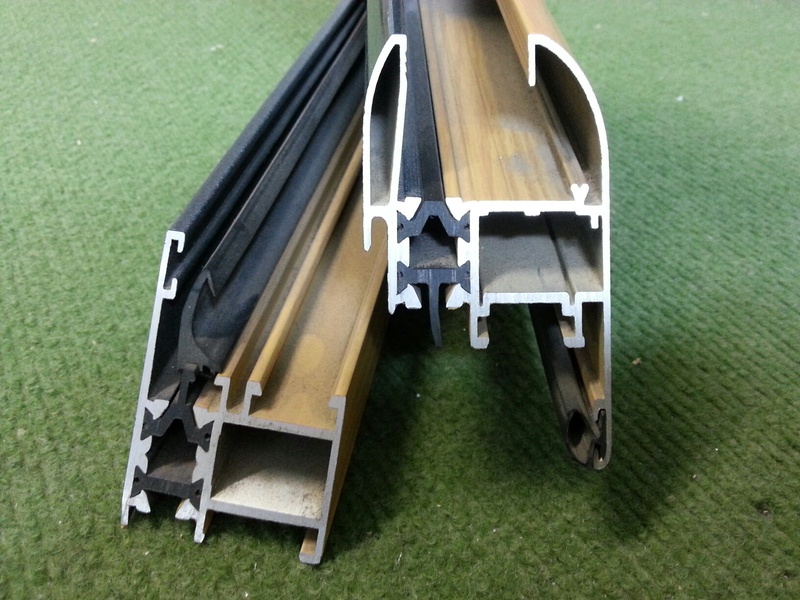 for aluminum joinery in Barcelona. In PONSICO s.c.p. 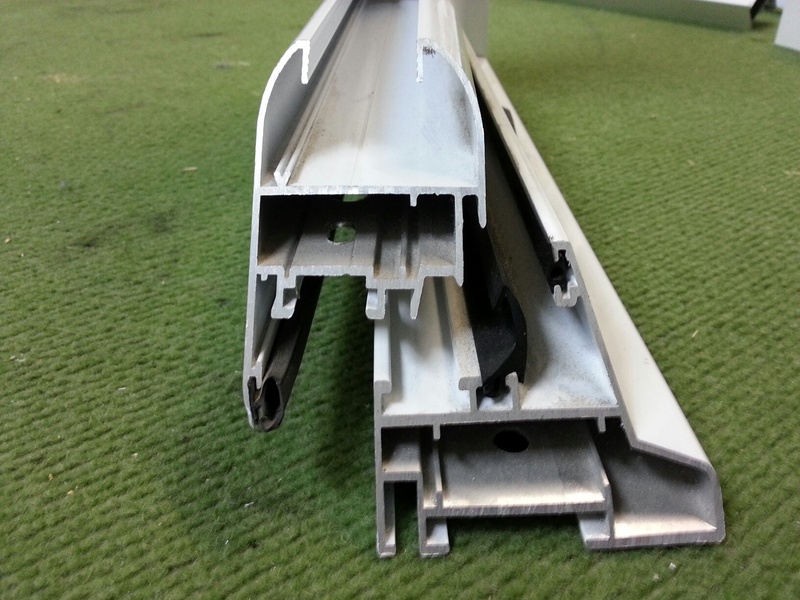 took since 1988 working with aluminium profiles and accessories manufacturer ALUGOM and its representative ALUNORD in Catalonia. In the year 2000 incorporate into our daily manufacturing STILO -50 series that manufacturer which brought us improved quality without tripping much the price. 50mm sheet, cut at 45 degrees to 30mm glass capacity. Previously occupied his post the S-350 series, with 45mm blade, more economical but not with the same results in trials. STILO-50 hinged series is a material that has a wide acceptance for their great value, making it a complete series with no guarantees that this will involve any economic ruin. With two rubber gaskets on the framework and on the sheet, the tightness is guaranteed. We can manufacture this material with both doors and hinged windows, opening both internal and external, as well as fixed. Within this series RPT find their version, which thanks to a piece of nylon achieve break inside the thermal transmittance from outside to inside the housing, since the conductive metal is aluminum. This should not be a concern, since the aluminum profiles are minimal compared to other materials, with a frame or sheet much smaller achieve a robustness similar to other materials much larger, and not occupy a large surface glass relieve the most important material in terms of thermal transmittance, since it is what occupies more area on a door or window. STILO-50 series offers 43mm frame for tight places, like maybe a gallery or cabinet, also offers another frame of 70mm to beautify and enhance the aesthetics of the door or window. Frames that marry perfectly with the series A-70 slide of the same manufacturer, in order to form structures composed of sliding and openable/fixed. The blade can be closed or a beaded, being the first the most used by us due to its robustness and no corners for easy cleaning. In the material thermal break (RPT), we have the possibility to put different finishes on the inside and outside of the profile. Ultimately STILO-50 series is a material with great acceptance in the market due to its good value for money, having more economic and also materials with higher quality. Consult no obligation any questions or doubts that may arise.